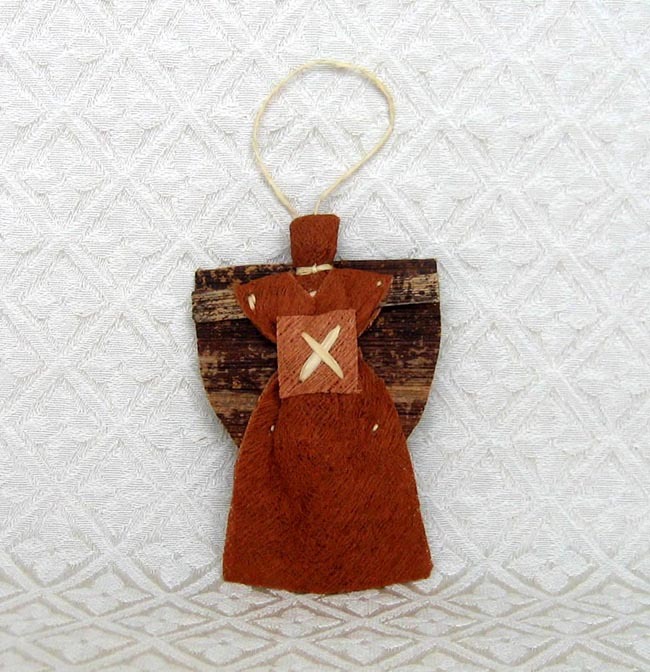 This angel ornament is made from bark cloth by Rose Ssanyu in Kampala, Uganda. She uses the income from her products to send her children to school, pay for medical bills, and buy herself clothes. The angel measures 3.5 inches tall.